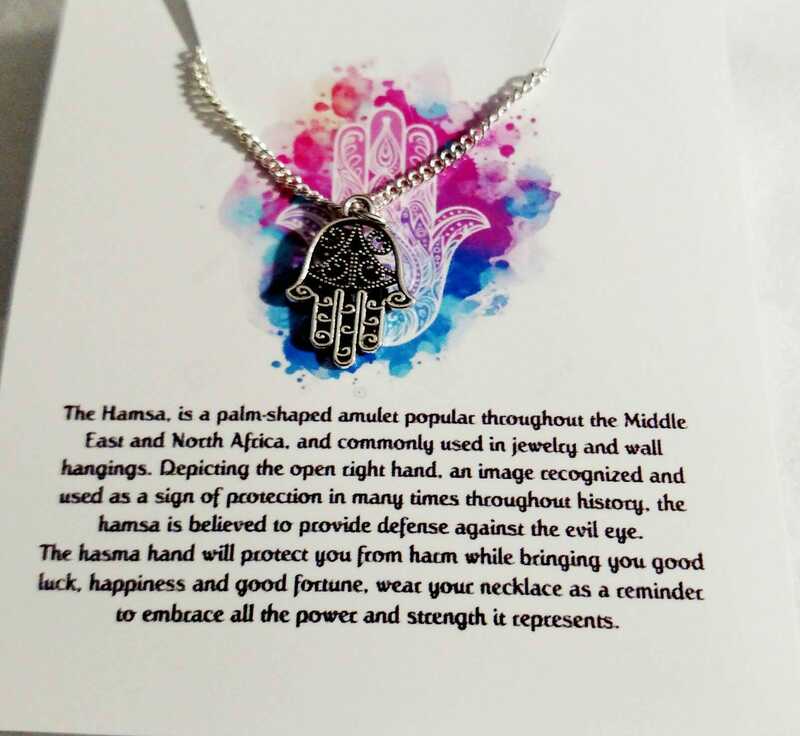 The Hamsa or Fatima, is a palm-shaped amulet popular throughout the Middle East and North Africa, and commonly used in jewelry and wall hangings. Depicting the open right hand, an image recognized and used as a sign of protection in many times throughout history, the hamsa is believed to provide defense against the evil eye. 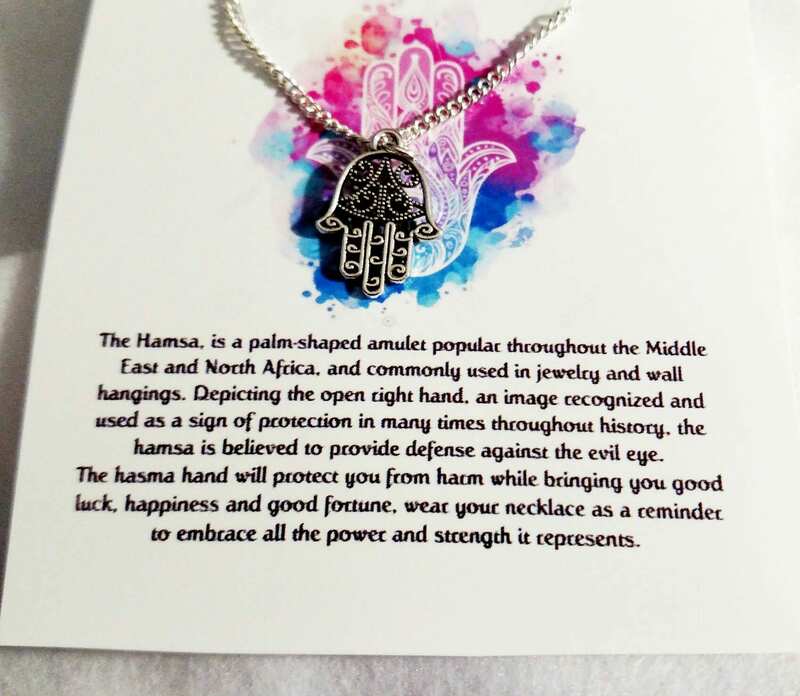 Wear or give this Hasma hand as a reminder of the Hand of God and its protection. 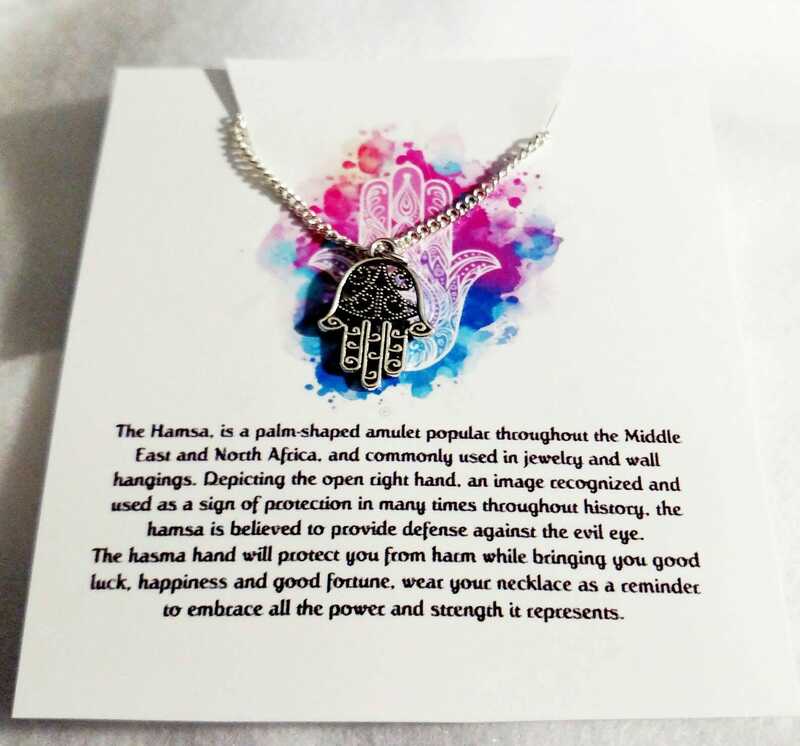 Made of zinc alloy metal which is lead and nickel free. 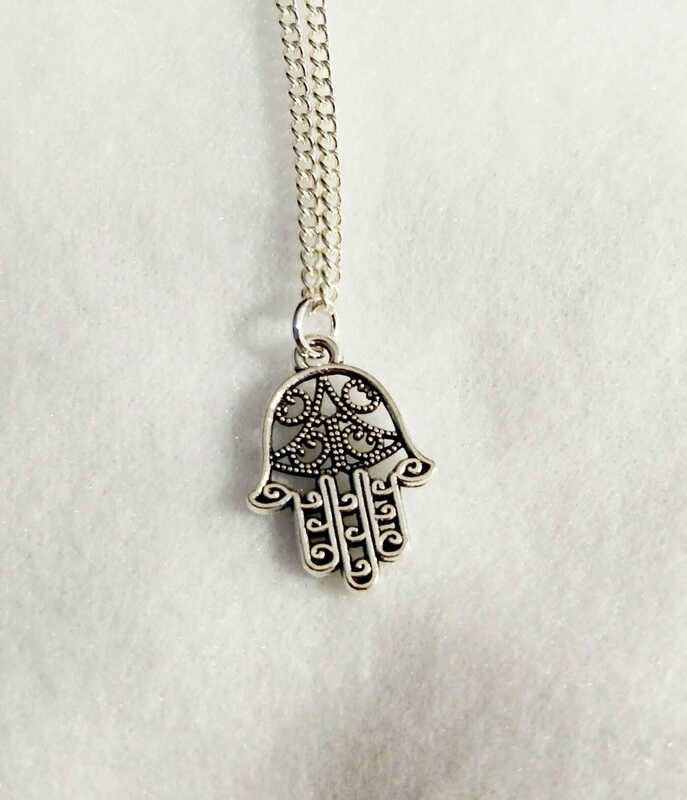 Charm measures: 21 mm x 15 mm.